"ARKit is a great developer tool for iOS developers"
ARKit helps developers to think about the rest of the world around the phone and develop augmented reality apps. Through ARKit, developers know exactly what the iPhone and iPad are capable of and can build within those boundaries instead of testing around them. It makes developing AR apps easier through 3 features, just by pointing at something on the ground, walking around that object to capture it from all the angles, and adding it to the AR world. The learning curve is large for 2 reasons. First, AR is a new concept and it is quite difficult for a developer to comprehend and imagine how the kit works. Second, Apple published the documentation at https://developer.apple.com/documentation/arkit, but most of the documentation is quite vague and is without example. I'm not solving any business problem with ARKit, just trying out the tool to see how I can create AR apps on iphones. It Integrate iOS device camera and motion features to produce augmented reality experiences in your app or game. Since the augmented reality technology expands into various industries, technology companies try to make their best to build effective solutions that will be able to conquer a significant market share. ARkit brings augmented reality to every iphone running the latest version of iOs. Now the hardest part about AR is spelling it. AR images sometimes seem too cartoon-like or just like video games. This is as much a limitation of phone processors as anything else and can be expected to improve as 3D modeling and volumetric capture gets easier. ARKit makes it easy to see furniture in a room. We also use it to preview product customizations. "A somewhat moderate Apple developer "
It was one of the fastest growing ARKit's on the market with the biggest user amounts compared to Google. I disliked the implementations from the version 1.0 , now with ArKit 2.0 we have seen a drastic improvement over the competitors. Such as 3D scanning the room in all dimensions. It makes us realize house improvements, such as kitchen remodeling how it could potentially look like. Difficult learning curve. It may take a while to get to know the tool and become good at it. I have heard, though, that once you do learn it is fun to work with. Very niche technology, though, and not all app users are looking for AR. "Is it still a phone?" It encourages you to use your phone for more than just a phone. I like the ability to point me to something. Still learning all the features. Takes some getting use to and a learning curve. It does take a toll on the battery life though. This is still a learning process and we are still investigating the benefits. ARKit apps allow users to put a 3D image using the concept of visual inertial odometry that takes advantage of device’s sensors to track the world. "Amazing tracking quality for augmented experiences"
Does not offer an option for Image Recognition tracking. Great if you want to show some Augmented Content in any location or with user controlled placement. Not so good if you are looking for an accurate 1:1 Augmented experience. "Easy to make code to real"
Its a great framework to do thing that you can not imagine ten years ago. A lot of ideas can be posible now with this framework and the best thing is the framework is growing. Its a framework very new in five years will be the best one to do big projects. we recomends practice a lot with this new framework with easy code and look a lot of videos and code to learn. Simulate reality with this framework using the camera and private software. You can use this toolkit to build really cool AR apps. Compiling and installation part is bit long. Compilation time is also long and depends upon on hardware. I need to develop an app which can detect human hand and draw custom patern on it. "Great implantation for environmental understanding and motion tracking"
rendering and scene understanding works great. We also enjoyed the lighting estimation features that evaluated ambient light by a device camera. The ability to manage larger maps was interesting. There are some inefficiency the initiation processes and hopefully the new updates will overcome them. Also, we noticed the inability of not noticing vertical planes. We used the application to create virtual reality mock ups for the healthcare architecture research purpose. It was interactive and served its purpose. ARkit uses the camera and motion sensors within an iOS device to track the environment, and overlay virtual data with a high degree of accuracy. 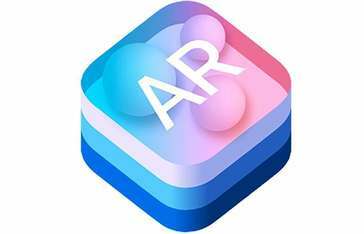 ARKit runs on the Apple A9, A10, and A11 processors, which means that all mobile devices prior to iPhone 6s and ipad (2017) are excluded from enjoying a marker-less AR experience. Architectural models are no longer bound to the confines of paper space and can now be viewed at 1:1 scale, on-site! "Excellent for fast paced production"
The readily available objects, textures that can be reused for projects with fast deployment. Building custom realities needs expertise. Learn it well before prototyping with it. Creating accelerometer for ios and gyroscope . "The best AR option for implementation"
Its really easy to build AR apps for iOS. create documentation. ARKit 2 solves most of the issues of ARKit. Making easier to integrate. "Augmented Reality App Development with ARKit"
Simply put, we are capturing our drawings, 2D images and transforming into 3D objects. This software development set of tools is create by Apple. Arkit apps are run on a myriad of Apple devices. I enjoyed that they gave out trails for the software. It's good for designing. I had a difficult time figuring out just how to utilize the program. It's not vey user friendly. "Great tool for your AR project"
Needs iPhone 7 or above with m10 motion processor to efficently track data from gyroscope, accelerometer and magnetometer. "Good but better with frameworks"
The capability is exactly what we need for our development. * We monitor all ARKit reviews to prevent fraudulent reviews and keep review quality high. We do not post reviews by company employees or direct competitors. Validated reviews require the user to submit a screenshot of the product containing their user ID, in order to verify a user is an actual user of the product. Hi there! Are you looking to implement a solution like ARKit?